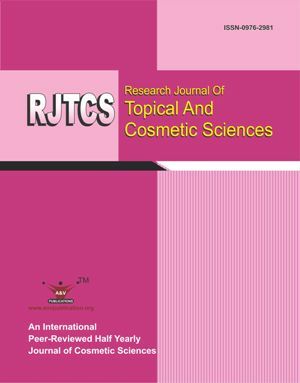 Research Journal of Topical and Cosmetic Sciences (RJTCS) is an international, peer-reviewed journal, correspondence in the fields of skin and cosmetic research. The aim of RJTCS is to publishes Original research Articles, Short Communications, Review Articles in both pure and applied areas in cosmetic sciences. The area includes cosmetics, toiletries, perfumery and the formulations used on testing of skin, hair and oral products, physical chemistry and technology used in cosmetic emulsion and dispersed systems, theory and application of surfactants, olfactive research, aerosol technology and selected aspects of standerdization of cosmetic formulations and its analytical chemistry. The journal is published Semi-annually every year in last week of June and December. 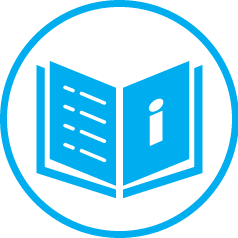 There is no processing fees or publication charges. The one printed copy of journal will be posted after publication of article at the postal address (India) of corresponding author. Also one pdf copy of published manuscript shall be send as attached documents at author’s email. There is no processing fee for co-authors. The article entitled _________________________________is herewith submitted for publication in Research Journal of Topical and Cosmetic Sciences (RJTCS). It has not been published before, and it is not under consideration for publication in any other journal (s). It contains no matter that is scandalous, obscene, libelous, or otherwise contrary to law. When the article is accepted for publication, I/We, as author/authors, hereby agree to transfer to Research Journal of Topical and Cosmetic Sciences (RJTCS) all rights, including those pertaining to electronic forms and transmissions, under existing copyright laws. I/We agree that copies made under these circumstances will continue to carry the copyright notice that appeared in the original published work. I/We certify that I/We have obtained written permission for the use of text, tables, and/or illustrations from any copyrighted source(s), and I/We agree to supply such written permission(s) to Research Journal of Topical and Cosmetic Sciences (RJTCS) upon request.